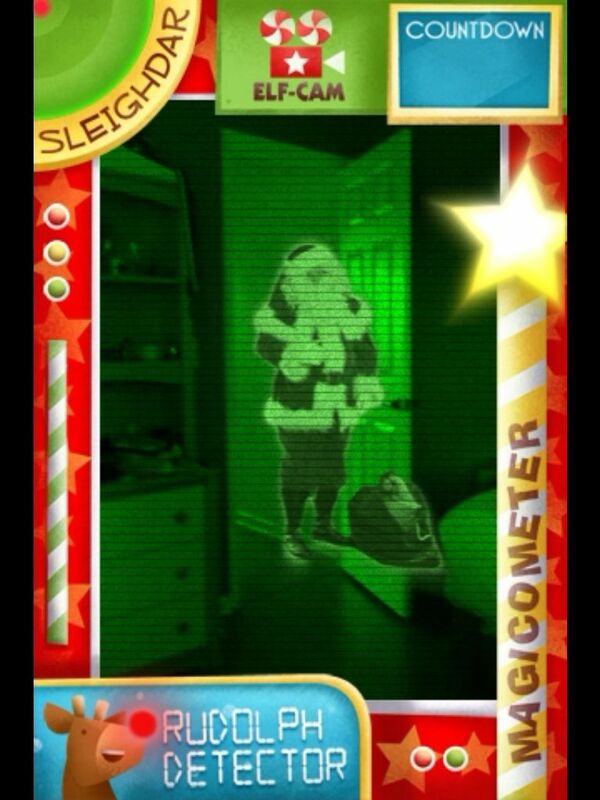 6 of the most fun Santa apps for kids that offer proof the big guy is real. My daughter came home from school last week, begging for a video chat with Santa. How very 21st century. But what was more surprising was that my ever-practical, Elf-on-the-Shelf-mocking, not-believing-in-Santa kid flip-flopped! And I owe it to these creative and fun Santa apps we’re hearing about from our kids and their friends. If you’ve got kids who need a little proof that Santa really does exist, check out these cool apps and websites that could help bring a little holiday magic to life right on your phone or tablet. Besides, it could save you a 3 hour wait at the mall. 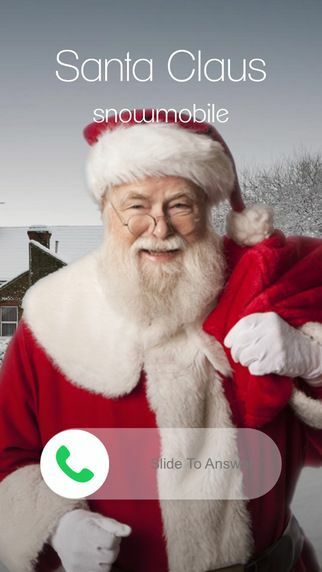 The folks behind JibJab and Storybots got smart when they acquired Hello Santa (above) this year, an app that lets kids log in for a live video chat with the big guy. As in, a real chat. With real Santa. When kids talk to Santa face-to-face and he knows their names and hobbies (details a little elf like you provide ahead of time), it’s pretty magical. Plus, it’s recorded live while it’s happening with side-by-side shots of your children with Santa, and then it’s emailed to you about a week later, so you have a record of it you can save and share. Just be advised that Hello Santa runs a tight ship. Set an appointment, log in early, and remember to give the site permission to use your camera. And be ready to call tech support if there’s a glitch, because Santa can help make children behave, but he can’t always do the same for technology. The good news is you can schedule the call for any PC or Mac with a webcam, or even do it on your iPhone or iPad if you download the free app. Also make an appointment now! 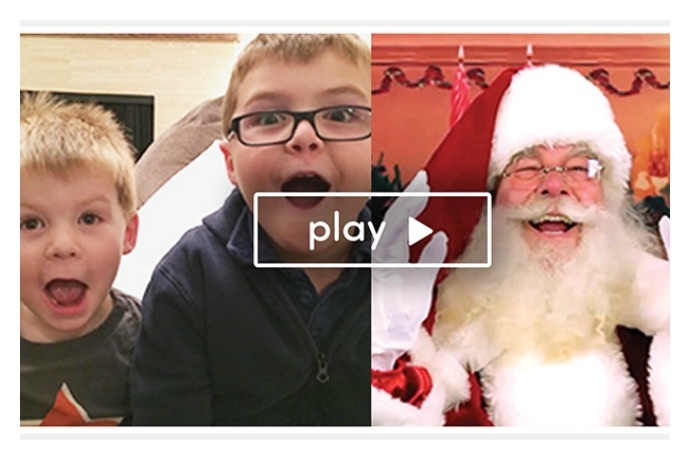 The live chat has limited availability — Santa is a busy guy, you know — but if you miss the window, you can also get a pre-recorded personalized video message from Santa to your child delivered any time between now and Christmas eve. Check the website for current pricing which should be somewhere under $30 for the live chat. 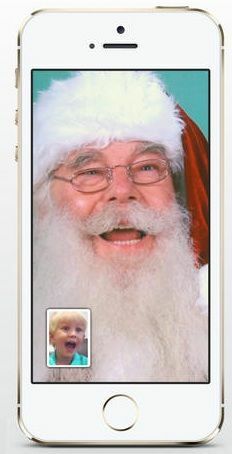 Oh, and you can rest easy: after our video chat with Santa, my daughter got confirmation that she is on the nice list. Whew. No wonder this app is such a huge hit with parents right now; it’s a fantastic value, because it’s really nine apps in one. 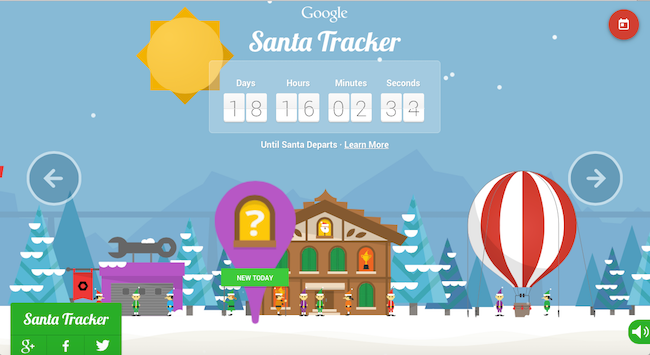 You can track Santa’s whereabouts, count down to Christmas, view nice and naughty lists, and write letters to Santa. The elf updates that come in like texts are pretty hilarious too. For years our editor Liz has been impressed with how well-made and magical her kids’ experience with Portable North Pole has been. 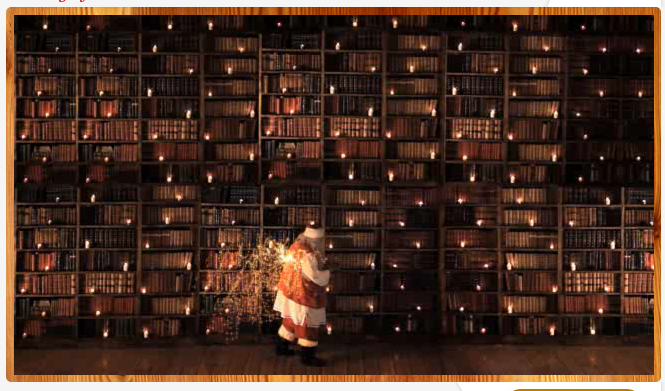 When Santa pulls a book off his bookshelf with your child’s name and photo in it, the kids are absolutely convinced. 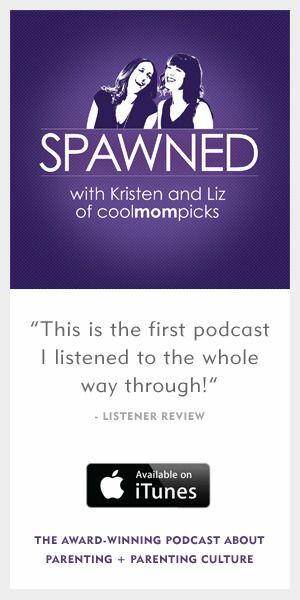 Looking for more holiday apps? Just visit our archives!